After seeing GBQue's hot and fast pork shoulder I started wanted to practice one without foil. 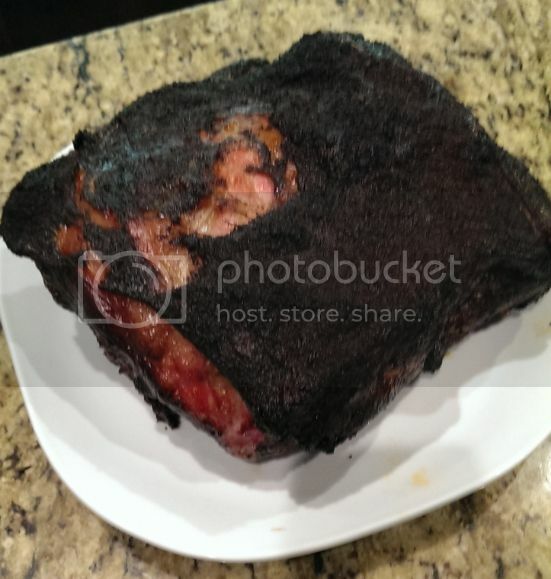 While most hot and fast pork shoulder involve 325 for 5 hours and then a rest in towels I decided I instead wanted to try to cook and then a short rest to preserve the bark. 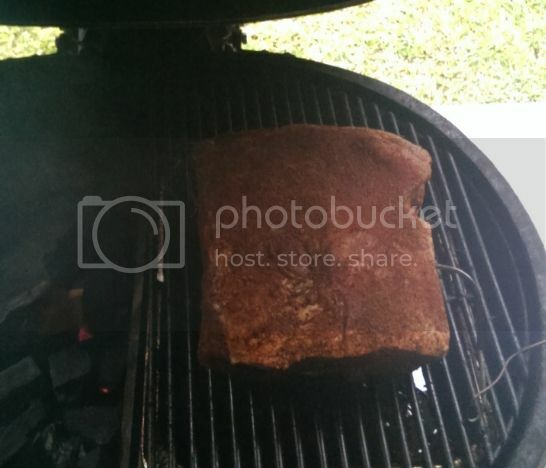 I started with a 6 lbs shoulder by brining it in Alton Brown's pulled pork brine. I lit the Primo at 7:45, pulled the meat out of the brine and rubbed on some pork rub. Pork went on the pit with apple chunks with the pit temp around 125. An hour later I ran an errand and came back to a pit that's 400. I further closed the vents to get to the 300 I was shooting for. After the meat came off I put a tent over the meat to rest while I cooked my dinner rolls. Total rest was probably 30 minutes. 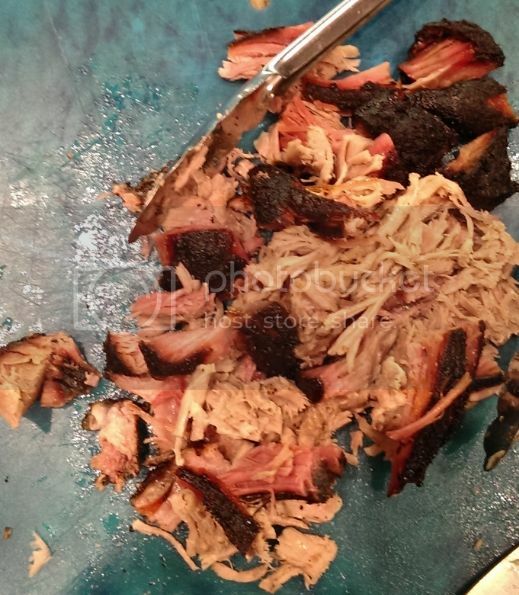 The meat pulled easy and the bark was exactly what I was searching for. The fat was well rendered and smokey, but the non bark meat was lacking salt. We use the same brine with our low and slow (225 and wrap after 160) and have not had that problem before. My thought is to perhaps inject next time instead of brine. Any other suggestions would be appreciated. Then read this one too! Pic 1 - Resized. Had two identical pics and posted the wrong one. Pic 3 - 519 x595. I also unclicked the box for link back to album. Is there anything else? I have not been on PhotoBucket for a while and stuggled. I even read the links prior which makes it worse. Picture 1 was the same! Third try. Did it work? it appears they are smaller. We need a fingers crossed emoticon. When I did mine I still used a pan and foil. It definitely helped get them done faster. I think the injection would definitely help get that salt/flavoring throughout faster. Did you like the outcome? I seriously thought mine were the best tasting butts I've ever done. We did like the end result. I didn't get that overly fatty mouth feel I sometimes get when I eat really fatty meats. I plan on doing this again. I am contemplating injecting the brine next time. Or else I need to find a different injection recipe.